Wolfgang Pauli: "If god made the bulk, surfaces were invented by the devil." 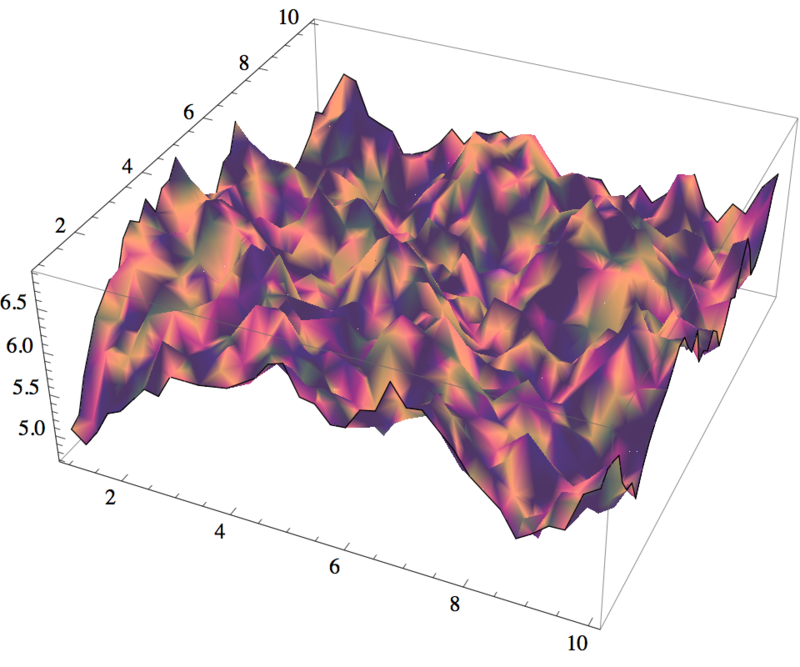 We are using the Weierstrass-Mandelbrot function to generate virtual surface profiles. 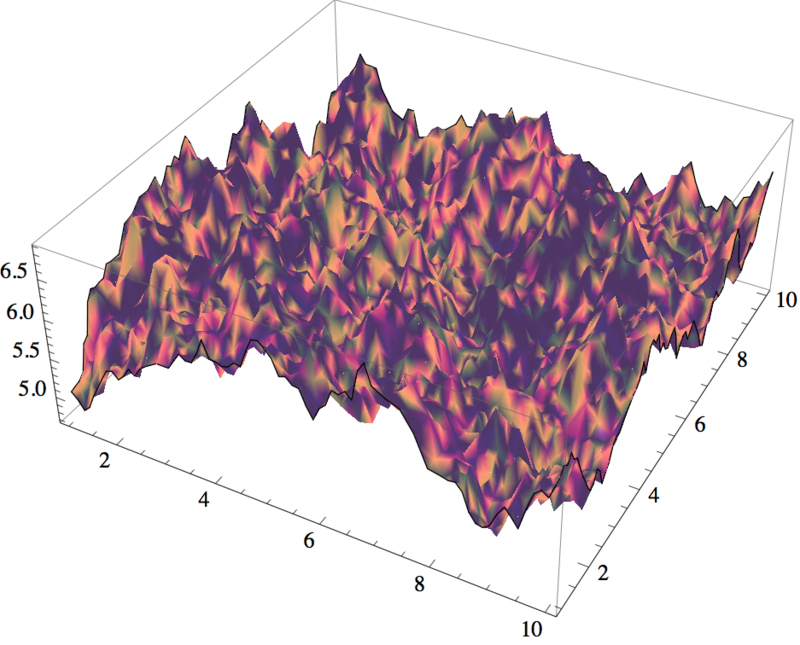 The following figures are the same surface (a self-affine surface), just using differnt resolution to reproduce plots. 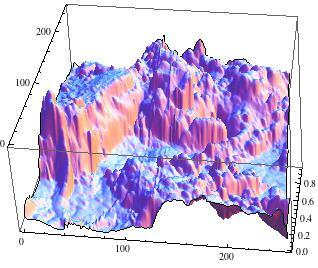 The important part about using such a fuction is that we can have an analytical form of the surface, including the possiblity to derive local curvature on the surface. 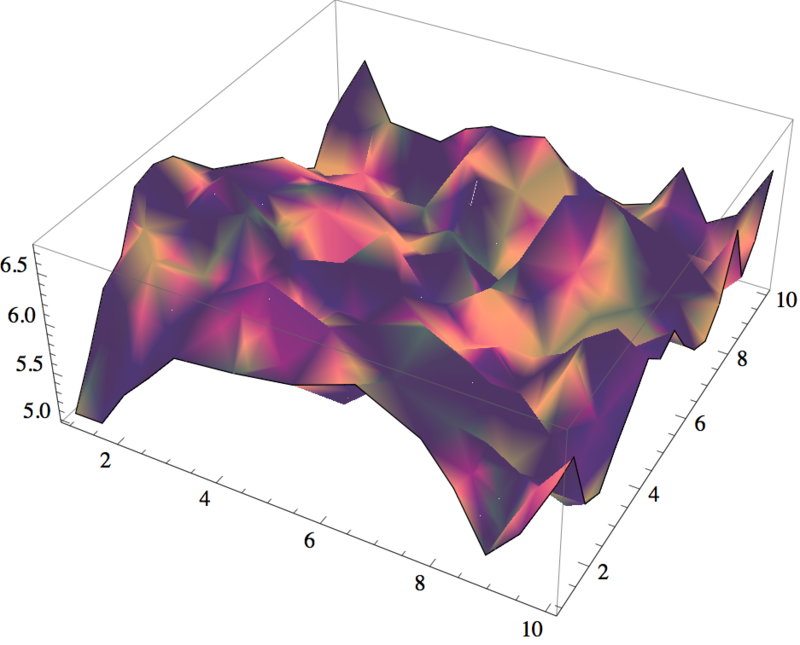 Yan and Komvopoulos (1998) Contact analysis of elastic-plastic fractal surface. Journal of Applied Physics 84(7): 3617-3624. 发布在科学工作 已有标签 Mathematica, research, roughness, surface, work. 将该链接存入书签。 发表评论或留个互链：互链地址.